"deserves all the bad reviews"
✅ Trip Verified | ADD definitely deserves all the bad reviews around here, especially if you need to rest after a relatively short red-eye-flight. Experience was slightly better on the second flight, arriving at 8 pm and departing at 11 pm. Seating / resting facilities are very limited and can only be found in crowded areas. The few existing "restaurants" are crowded, service therefore is pretty slow. People keep smoking outside the horrible smokers room till staff sends them back in, the whole terminal smells horrible. Boarding gates change frequently on short notice, displays mostly not working. Free WiFi is available but often not working or just for a few seconds. Toilets are very basic. Security is obligatory even if only in transit, queues are short. A new terminal is foreseen to be opened partially in summer 2018, hopefully this will improve experience at this airport. "no staff to take any responsibility"
❌ Not Verified | Easily the worst international airport in the world (sample size 100). Spent 7 torturous hours when boarding announced on the signboard, with no aircraft or staff in sight. And then says departed! Repeated this 4 times with no staff to take any responsibility. Poor internet, crowded, two toilets in the whole airport - you kidding me - this is worse than the worst. "Avoid this airport if you can"
❌ Not Verified | This is the worst airport I have ever visited! 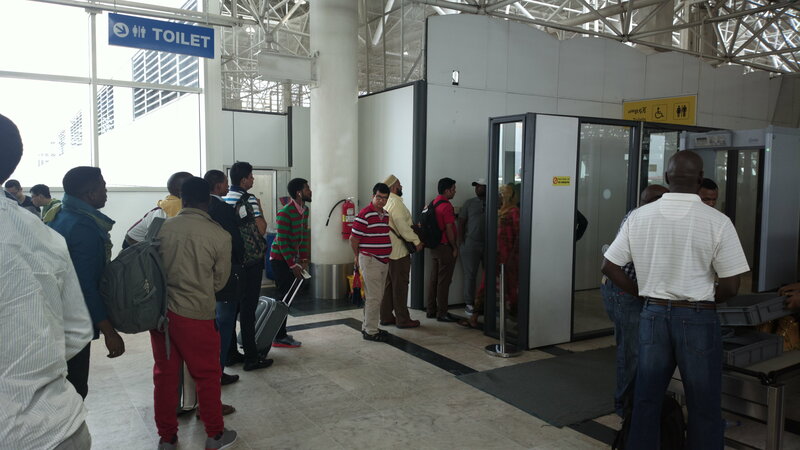 This is the reason I try to avoid using Ethiopian Airlines as they use Addis Ababa airport as their hub. There are no seats to sit on and the food selection was poor, toilet was horrible, smoking area not sealed so you can smell it everywhere. Security check area is crowed so it takes hours to get through! This is a chaos itself! Avoid this airport if you can! "Terminal was clean and well staffed"
❎ Not Verified | Dublin to Cape Town single male traveller. Terminal was clean and well staffed. Toilets not palaces but clean and there was someone cleaning them while I was in there. Smoking area was grim, ridiculous little kiosks with no ventilation or doors and one big tiled room again with no ventilation or doors, it looked like a converted butchers room. Again, someone was cleaning this area while I was there. Euro accepted in cafes, paid 5 euro for a pint of Ethiopian lager, perfectly nice. Watched people's reactions to food arriving and decided to wait for plane food. Transit through security to gates was fine except when they insisted on taking my only lighter off me on the way back. Wifi very patchy, got two minutes or so. No problems for a three hour stopover. "no free seats in the airport"
❎ Not Verified | I passed through ADD on March 2 on my way from Kinshasa to Toronto. As usual there was no Parking Position on one of the fingers but in the Outfield, which requires using a bus to the terminal. There was no dedicated bus for business class travellers and everyone had to wait for the last passengers from the plane. The Airport is currently under construction and totally overcrowded in the evenings, people sleeping everywhere, no free seats in the airport. Even the lounges were full over capacity. Before entering the departure gates a security checkpoint has to be passed, here overzealous officers make you take your shoes and belts off, and take even small water-bottles away. The scissors, leatherman tool and laptop stayed however undetected in my carry-on. At the gate to my Toronto flight there was no distinction between business and economy passengers, but total chaos and pushing and shoving. Very poor! ✅ Trip Verified | The best way to describe the Ethiopian Airlines experience via Addis Ababa to Zanzibar is wearing an expensive suit with used tatty shoes. I think that's fair comment. I mean they have bought many if the latest A350 aeroplanes costing over $300m each, which in my view is the best aircraft out there , better than the A380 or the dreamliner. But their airport is the worst airport I have ever been to. I was unfortunate enough to spend six hours in it and it was the worst experience due to the place being worn down, shabby, derelict and lack of facilities for the millions of passengers they have started to bring with their latest state of the art aircraft. The washroom facilities - disgusting. Resting facilities - non existent. Lounges - no better than the rest - staff helpfulness is pathetic (I have found other people in the region to be more friendly). Space non existant as the place is teaming with people. Security checks - why on earth do I need to be checked twice after just getting off an aircraft? The security took my lighters twice! Basically, some person thought it's perfectly fine to just buy new aircraft and not bother about the airport. I'm not going to fly Ethiopian again because of this (Kenyan Airways much better and more friendly). "no attempt to enforce the no smoking signs"
✅ Trip Verified | An airport terminal full of cigarette smoke - stay away. 5 hours of breathing in hideous cigarette smoke - with many people puffing away outside the smoking rooms the general seating area soon became full of smoke - when I raised this with staff, they said there as nothing they could do, with one complaining that it was very bad that he had to work in these conditions. There was no attempt to enforce the no smoking signs. Unbelievable given the health evidence, not to mention then having to travel on a long haul flight stinking of cigarette smoke. To top it off we nearly missed our flight as the gate was changed, without an announcement or changing the departure information. Also the WiFi didn’t work. Horrible experience. "disappointed by the Business Class facilities"
✅ Trip Verified | My arrival at Bole was unfortunately not what I expected. Amid the chaos, I was disappointed by the Business Class facilities. No showers, dirty and basic ablutions and the lighting of fires as part of a traditional ceremony with spices and herbs emitting a pungent, unpleasant smoke filled atmosphere. This might be part of a cultural experience, but it is not to everyone’s taste and certainly not in any Business Class Lounge. I made my way towards security to board the onward flight and initially waited 15 minutes in a queue reserved for Priority Customers. The machines stopped working and we were re-directed to the facility for regular passengers, and by this time the queue extended all the way down the hall. I eventually arrived at the point where I placed a number of items into the grey plastic trays used to hold passengers effects prior to being screened. I used three trays as I had three items that required screening, including a belt, phone, travel documents, a boarding card and a metal watch, all of which had to be scanned. Due to the exceptionally large number of people around and the confusion, I gathered my possessions and noticed my boarding card and watch were missing. I alerted the staff that were preoccupied with the huge influx of passengers and I was largely ignored. I persisted and asked for someone to call for the Police. This was declined and I was told there are no police on the airside section of the airport. I then asked for an airport manager and I was advised there was no airport manager on duty at the time. I was then sent to the relevant flight Supervisor, who recognised my distress and frustration and we returned to the security section. One of the women security officers laughed at me, which was infuriating and offensive. We mentioned this to the Security Officer and he could shed no light on the disappearance of the items. I accompanied the flight supervisor to the gate and a new boarding card was issued to me, albeit in a different seat. My initial seat was 1L and the replacement seat was 1D. Just prior to boarding the flight, my original boarding pass was mysteriously located in the security section, but not the watch. The entire experience was appalling. I resent the fact I was unable to elicit help from the Police and the chaos was unnerving. "avoid it like the plague"
✅ Trip Verified | Ethiopian Airlines is a fast growing operation trying to position itself as an efficient and cost-effective airline serving most African destinations from Europe, America and Asia. Personally I am happy with the service provided by this airline however should I fly to Africa again I will not choose it even if the fare is competitive because of the Addis Ababa connection transfer. I am not sure whether ADD is the worst airport I have used but it certainly is within the top five of the world´s worst and two weeks afterwards I am still struggling to find anything vaguely positive about it. 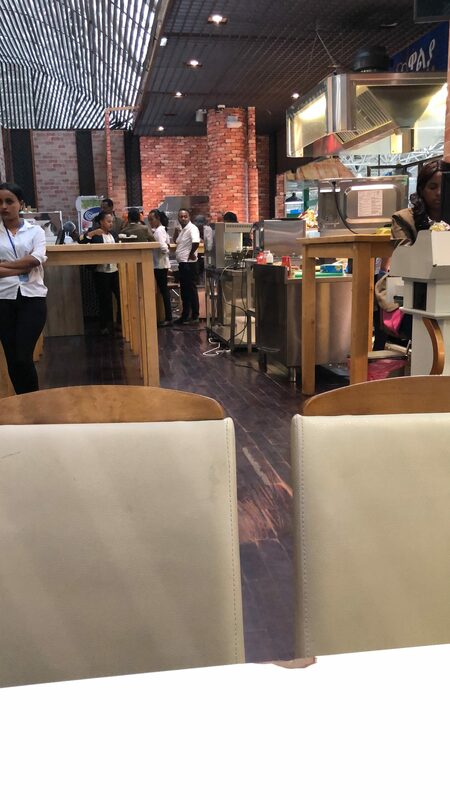 My own personal peeve as already mentioned by other reviewers is the useless double security scan (to be fair also implemented in other Ethiopian airports). It is supposed to be very thorough but it´s just slow and inefficient not to mention useless. You need to remove shoes, belts, wallet etc. however a bottle of water which I had forgotten to remove from my hand luggage passed through the scanner without a hitch. Any other comment about this airport has already been outlined by previous reviewers. There is little I can add and I can only confirm: horribly overpriced shops, terrible restaurants, pathetic lounges, overcrowded departure halls, dirty and dark. If you are flying to Ethiopia you have no choice. If you are using it as a transfer point avoid it like the plague. 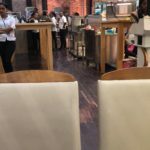 "one of the world worst airports"
✅ Verified Review | Certainly one of the world worst airports, overcrowded, chaotic, old, with non-functioning escalators, badly located screens, miserable announcements, undisciplined queuing for security checks, and worst of all, a place where loosing your luggage has a high probability. I passed 16 times in 6 years through this airport (8 return trips), lost my luggage twice.